Buying South Lake Tahoe real estate this spring? If you are new to buying or new to Lake Tahoe, you are probably pretty eager to get the ball rolling. One of the best ways you can get started is by finding a qualified South Lake Tahoe Realtor. Not only do we share the current market conditions, but we walk you through the process, negotiate on your behalf and act as an advocate and a guide. The perk to having an experienced Realtor lead the way is that it also helps to keep emotions in check. Believe it or not, there is an etiquette to buying homes for sale in South Lake Tahoe. As a prospective buyer, you want to make a good impression. Here are a few tips to stay cool, calm and collected during this exciting journey! Working with a South Lake Tahoe realtor already? Don’t call the listing agent on a home you are interested in. Yes, it may be tempting but the proper channels of communication always start with your Realtor in South Lake Tahoe. They can call the listing agent, who can speak with their sellers and go from there. While it may seem as if taking out the middle man is doing everyone a favor, it actually isn’t. The seller’s agent is working in the best interest of the seller which means you may not get the information, or the deal you are looking for. Your hired someone to represent you, let them do their job. Don’t act like you are ready to buy if you really aren’t. It takes a lot of time for multiple people to prepare homes for sale in South Lake Tahoe for a showing. When you enlist the services of a buyer’s agent, they take you seriously as a buyer and spend HOURS preparing information that helps you as well as properties for you to view. They take entire days away from family and friends to show homes for sale in South Lake Tahoe. Sellers have to clean their homes and schedule activities during times that are pretty inconvenient for them and their families to make sure the property in question is clean and vacant for a showing. If you are in the “just looking” phase, by all means, visit open houses. Let the Realtor in South Lake Tahoe who is hosting the open house know you are just looking, you are not yet ready and you aren’t working with anyone. But whatever you do, do not act like you are going to write an offer if you are months out from doing that. Speaking of scheduling open houses, do not show up late or no show altogether. Once again, it takes a lot of work to get a property ready for a private showing. By being late, you set off a domino effect. If your Realtor in South Lake Tahoe has set up the day to show you several South Lake Tahoe homes for sale, they will then have to reschedule all the other properties following the one you couldn’t be on time for. Which means, you may not see some of the homes you really wanted to. The sellers make be working on a tight schedule due to running their own life and could possible not be able to accommodate your running late. Not to mention, it once again takes a lot of work on their part to get a home ready to show. Not showing up at all completely wastes time for multiple parties. We get it, life happens and some scenarios can’t be prevented. But make every effort to show up on time. Don’t make an offer without a mortgage pre-approval. Having a pre-approval makes everyone’s life easier. You know exactly how much you are qualified for. The seller takes you seriously as a prospective buyer. Your offer stands out against other buyer’s offers. Without one of these, your offer is basically an IOU. 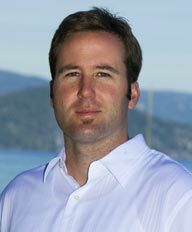 For more information on buyer or selling South Lake Tahoe real estate, feel free to give me a call. I would be happy to help!